As well as NEXUS, Percussion Rochester will feature Peter Erskine, Michael Burritt, Anders Astrand, Tony Padilla, Rohan Krishnamurthy, Dr Kishan Pandya, Percussion Plus, Musica Nova, The Eastman Wind Ensemble and Eastman Philharmonia, and Eastman New Jazz. There will be three world premieres which will add to existing percussion repertoire: the John Beck Composition Prize winning piece Night Wind by Naomi Sekiya, Michael Burritt’s new percussion concerto, and Weijun Chen’s commissioned piece for Eastman Community Music Schools Drum Joy ensemble. Beyond the performances at the festival is the emphasis on education and exploration: opportunities to attend master classes with world-renowned educators, open rehearsals, and an open forum in which composers discuss their work. 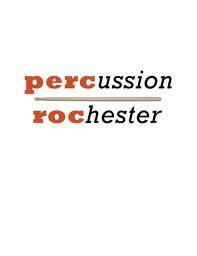 These events and more, available to ticket holders and to students through scholarships and discounts, are as vital to Percussion Rochester as the higher-profile evening concerts. The festival will also include free community events – such as performances by area student ensembles, marching drums, and Indian and African percussion groups – provides an entry for families and the general music-loving public to experience Percussion Rochester.You can read more from Bill Cahn and from John Beck at the Percussive Arts Society site here. The ticketed evening concerts take place in Kilbourn Hall and Kodak Hall at Eastman Theatre, and you can get full information on tickets and schedule by clicking here.